Long before acquiring an unsightly vertical hysterectomy scar on her belly and getting flabby by maintaining a food blog, Islander would perform a hip-shaking ʻōteʻa at college cultural festivals. 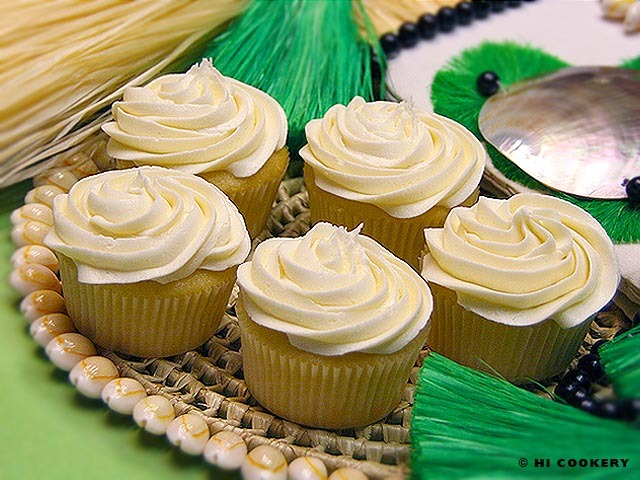 Both this Tahitian dance—and these Tahitian vanilla cupcakes—are captivating! Pure Tahitian vanilla extract adds a faintly fruity flavor to plain vanilla cupcakes and makes a familiar food even more fabulous for National Vanilla Cupcake Day. Sift the flours with the sugar, baking powder and salt. Cut up the butter into 1-inch cubes. In a separate bowl, beat the eggs with the milk and vanilla. In a mixer or mixing bowl, combine the flour mixture and butter until incorporated (it will be coarse and thick). 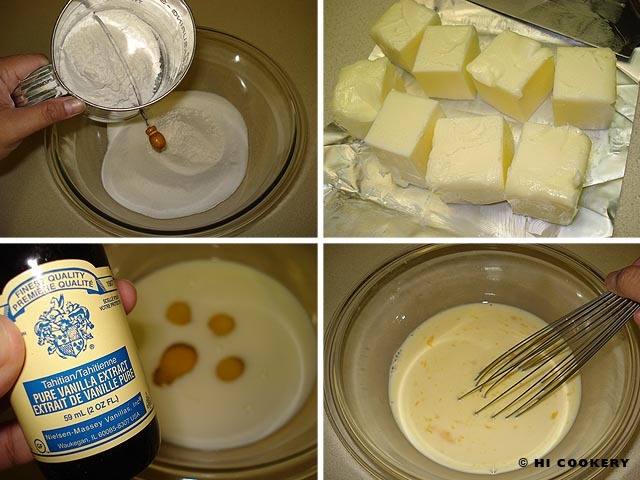 Gradually pour in the egg mixture and blend until the batter is smooth. Scoop 2/3 full into cupcake paper-lined pans. Bake in a preheated oven at 350 degrees F for 15-20 minutes. Remove from the oven and transfer to a wire rack to cool completely. Make the frosting. 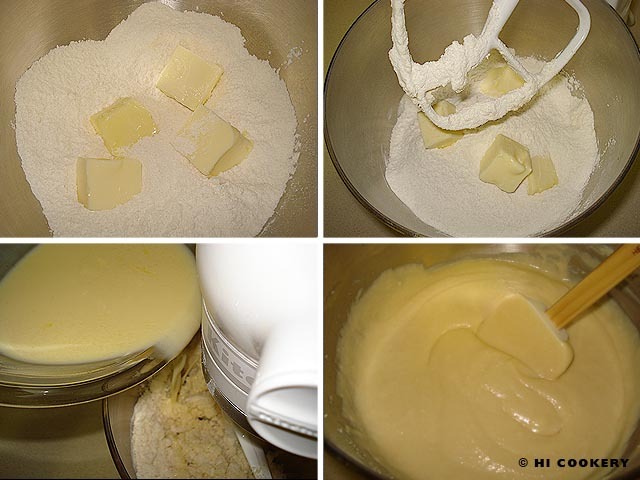 In a mixer or mixing bowl, cream the butter until light and fluffy. Gradually add half the powdered sugar while still mixing. Stir in the milk and vanilla. Add more powdered sugar until a spreadable consistency is achieved. Frost the cupcakes and decorate as desired (we used tip 1M in a swirling motion to decorate our cupcakes). 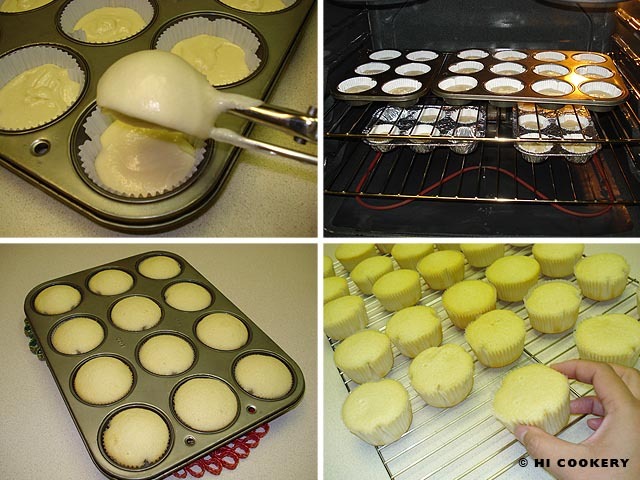 Yield: Approximately 2 ½ dozen cupcakes. 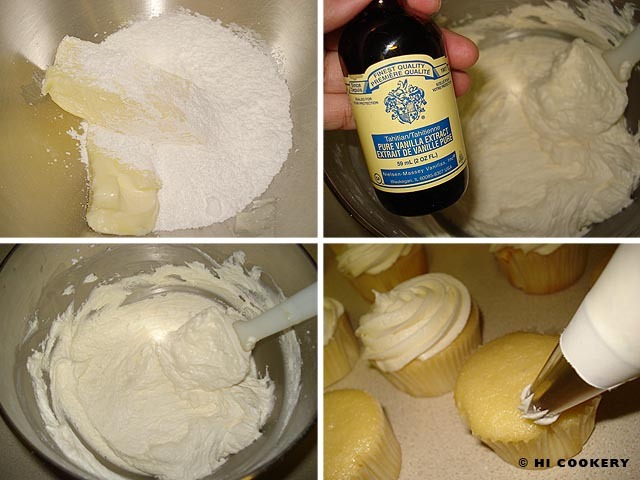 This vanilla cupcake recipe is sweet and simple. But when decorated and dressed up, these pale-colored cupcakes are perfectly elegant for bridal and baby showers, weddings, anniversaries and other special occasions. Substitute the faintly fruity Tahitian vanilla for the subtly spicy Mexican vainilla. Auntie Maria B., a caterer who made our wedding and 10th anniversary cakes as a generous gift, adds evaporated milk or cream instead of milk to her vanilla frosting recipe for a richer taste. The props in the final food photograph above include the i’i (hand tassels) and headdress from one of Islander’s Tahitian dance costumes.